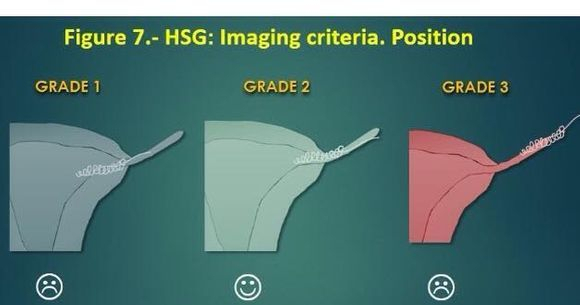 The HSG is the test your doctor will perform to look for device placement and occlusion (blockage). Ideal placement will be 3-8 turns of the outer coil trailing into the uterus. After your HSG, ask for the images to be burned onto a CD for you. This will come in handy for future medical reference. Also, go to the medical records department where you had the HSG done, and request a copy of the HSG report. This is very important. Having copies of your medical records helps you to understand and see exactly what is inside of your reproductive organs. 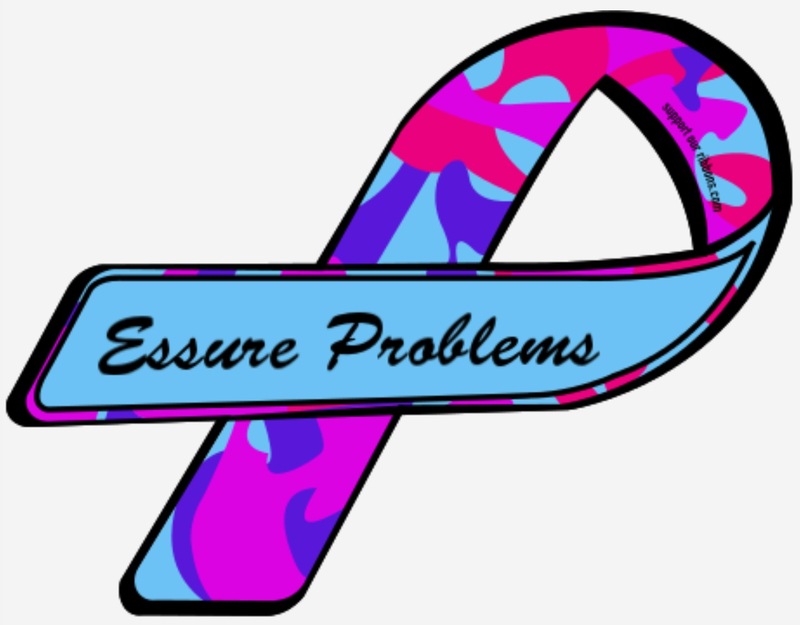 Not many doctors even know what Essure is. To have your report and imaging will help you to educate any physician in the future. 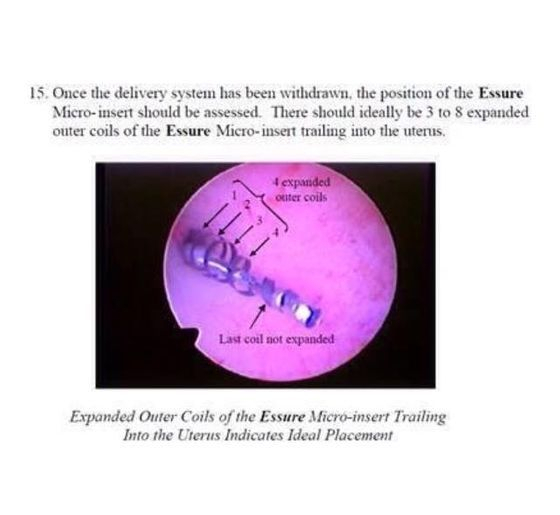 The Essure Confirmation Test is an important component to the Essure procedure and provides the patient with the information she needs to confidently rely on Essure for permanent contraception. 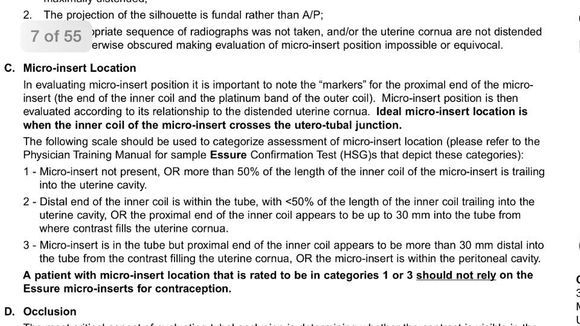 It is performed 3 months after Essure is placed to document location of both inserts and bilateral tubal occlusion. 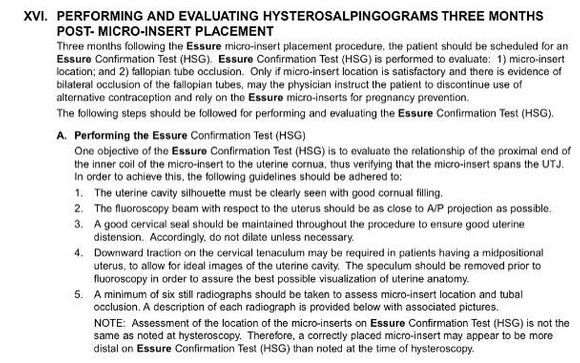 It is recommended that all physicians involved in performing and interpreting this confirmation test review the full Essure Confirmation Test Guide available on EssureMD.com.